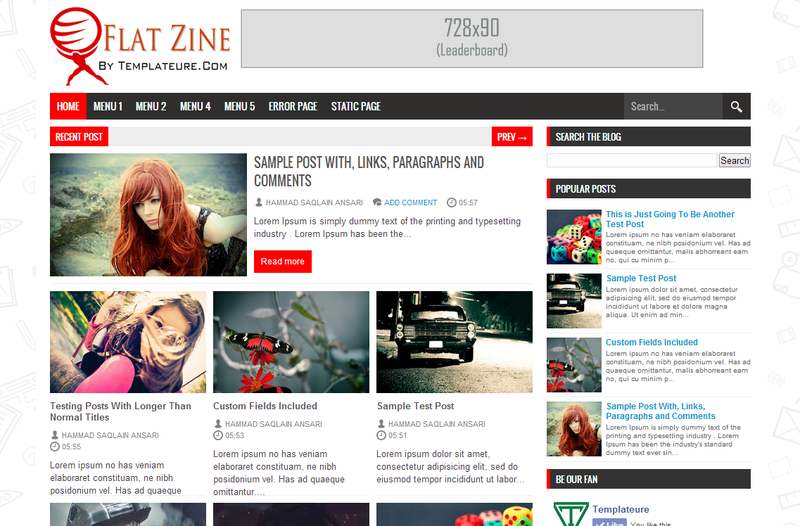 Flat Zine Blogger Template is a multi-purpose Clean Blogger template precisely designed for multimedia, news bulletin, Entertainment and Technology blogs. With elegant green color scheme, FlatZine gives you visitors the experience of their life as they go though the responsive and flexible design. It has a lot of useful and key widgets, which come which are ready-to-use from the time this template is installed on your blog. Following are the few key features we have incorporated in this blogger theme. Breadcrumbs, SEO Optimized, Header with 728x90 Ad, Author Bio Widget, Featured Label Posts.